An increasing number of experts agree – today’s financial and environmental crisis is a sign that something is fundamentally wrong with our economy. But the same experts, however, have yet to present a viable alternative. Growing a New Economy does just that. The economic reforms we have seen in recent years – be they conservative, leftist or green – have been unable to alter the destructive course of our economy. It’s time for systems change. It’s time to move from the power of corporation to the power of cooperation, from the centralized power of the board rooms to the decentralized power of economic democracy. 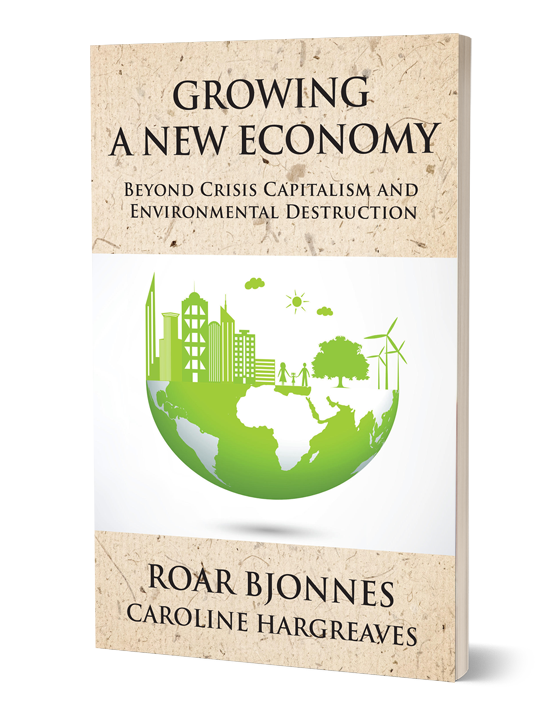 Growing a New Economy presents integral solutions to our economic problems and our rapidly deteriorating ecosystem.